Q. When can I get an inspection done? A. We conduct an average of two inspections per day, Tuesday through Saturday. Our morning inspection begins at 9 am and the afternoon inspection begins at 2 pm. Other arrangements can be made to accommodate the specific scheduling requirements of our clients including Sundays, Mondays and holidays if needed. Q. Can I be present? A. Absolutely! In fact, it is highly recommended that you attend to get a full understanding of the property. My favorite aspect of the work is the educational one. Buyers, Sellers and Realtors are encouraged to attend the report presentation at the completion of the inspection. It is recommended the client arrive at the end of the third hour. The inspection process takes a minimum of 3 hours to complete and most visitors get bored waiting for us to finish. The kids get REALLY restless as well. Q. How long before I get a copy of the report? A. We distribute the reports within 24 hours of completing the inspection. You can expect to receive a PDF version of the report delivered via E-mail within 24 hours. An exception could occur on the weekends where processing might be delayed until Monday morning. A. The cost is based on the square footage of the building. Price discounts are available for qualified clients. The fee schedule can be viewed by CLICKING HERE. We can bill an escrow account or bill the client directly. Inspections paid directly on the day of the inspection by check receive a $25 discount off the base fee and $50 off when paid by cash. Paid receipts are provided for either. We can also accept credit card payments. Q. Who gets a copy of the report? A. Most of our inspections are conducted for the buyer of the property. Our policy is to provide a PDF file of the report to the buyer. The Realtors each receive a PDF copy via email unless otherwise instructed by the paying client. A. Either the client or their Realtor must sign the contract before the inspection is conducted. The contract is based on established standards recognized throughout the industry. A. There is no licensing for Home Inspectors in the State of California. I am certified through a national organization called the International Association of Certified Home Inspectors (InterNACHI) and earned the Certified Master Inspector (CMI®) rating through an affiliated organization. 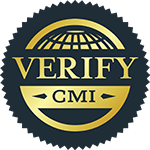 At last count there were only 68 InterNACHI inspectors with the CMI rating in California. I am also a member of the The American Society of Home Inspectors (ASHI). I carry Errors and Omission and liability insurance. A. I started training in the summer of 2003 and began working full time as a home inspector in October of 2004. As of April 14, 2019 I have personally conducted over 3,674 inspections.